After seven long years of persistence, Erika finally succeeded it getting Josh to agree to a couples photo shoot, and I was honoured to be the one to selected for this rare undertaking. Both were surprisingly natural in front of the camera, simply just loving on each other and being themselves. 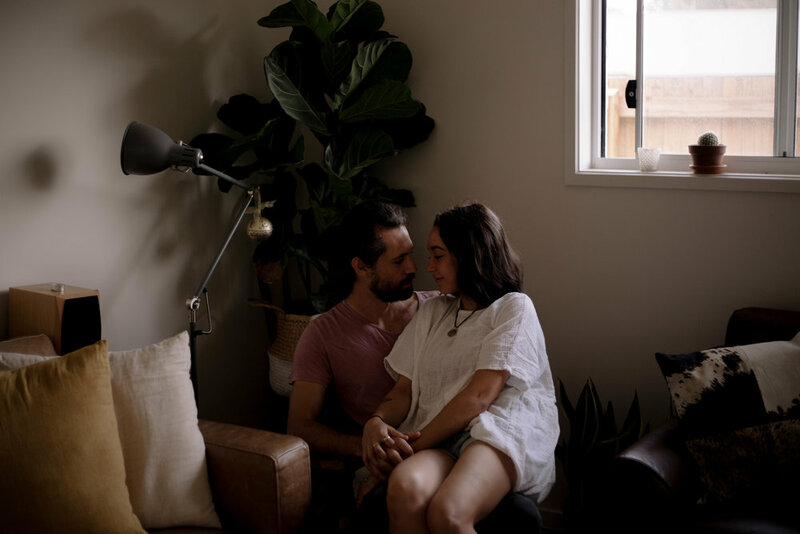 Erika and Josh booked the “This is Us” couples shoot, giving them a great opportunity to not only get some bangin’ images of them being cute, but also some photos of them in their recently built love nest. Now that’s what ‘killing two birds with one stone’ looks like.